Fill this canvas tote bag with all of your beach toys, towels and sun screen! 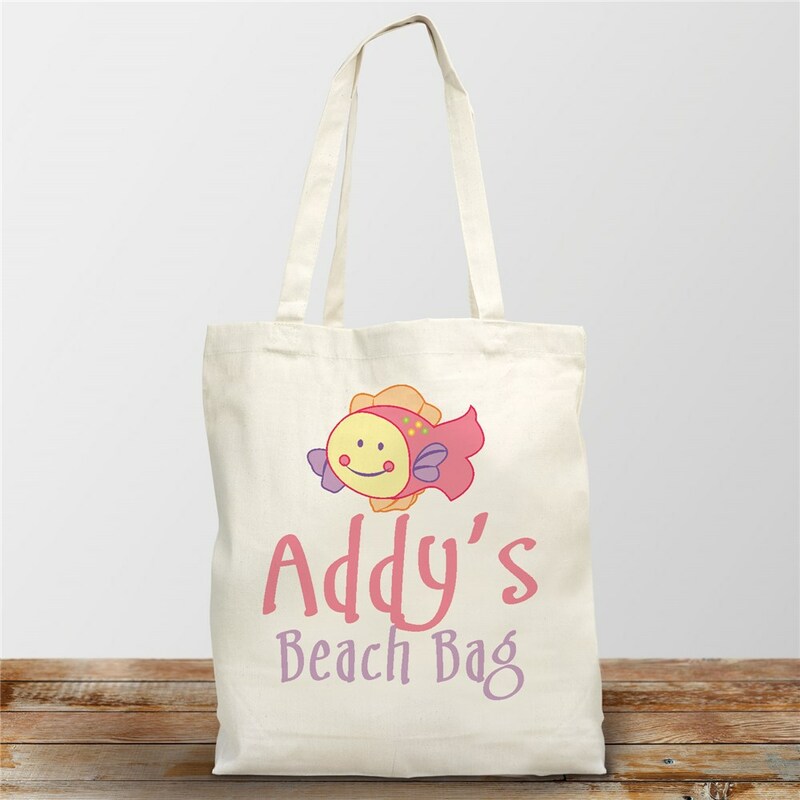 It is the personalized beach bag that every girl will love to have! Make it her very own by adding her name to this design. Very cute!! Great beach bag for my 4 year old daughter. haven't used it yet, but it's just the right size..wish I woulds of had it personalized tho. Great bag! We had friends coming to Florida from Michigan...we gave the kids each a tote bag with their name on it along with a beach towel, sunscreen, chips, and some beach toys. They were so happy! And, now they have a souvenir from Florida.